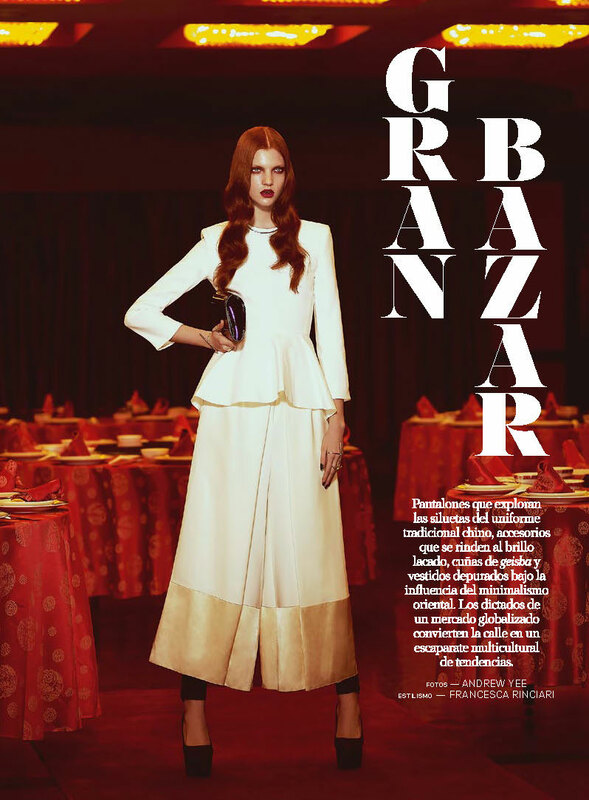 Gran Bazaar – Multicultural trends converge in this story shot by Andrew Yee for the May 27th issue of S Moda. Model Anastasia Ivanova exudes refined Eastern minimalism in looks styled by Francesca Rinciari. With selects from Yves Saint Laurent, Céline, Valentino, Dries Van Noten, Stella McCartney, Lanvin, Gucci and Joaquín Berao amongst others, Anastasia’s outfits are high impact against the setting of Madrid’s Chinatown. Topping off the shoot’s glamorous styling and colorful location, hair stylist Manu Fernández gives Anastasia sleek, fiery locks to complement nighttime make-up by Jose Belmonte.